It’s been over six months since I’ve written a post for this blog. It’s been a really long six months. I’ve thought about blogging many times but couldn’t wrap my brain around anything enough to write coherently. As I now look back through photos (and sometimes lack of photos), I can see that we had a lot going on, but our living situation during the last half of last year had the most impact on our lives. Fred’s former employer closed their facility in Bellingham last June. We knew months in advance that this would happen but didn’t yet have a suitable job lined up for him. A nearby company needed a QA manager, but there was no way we were staying in Washington. Fred agreed to fill the position for a couple of months while they found someone permanent, and he continued to look for a job that would bring us closer to our family. After interviewing with several companies and receiving a few offers, Fred chose to work for a company in Ventura, and we made arrangements to move to California. He began working in October, we moved in November, and we’re still unpacking boxes. We enjoyed Thanksgiving and Christmas with family and are settling into our new home near our loved ones. We’ve found most of what we need for day-to-day living, with a few exceptions. And still there are way too many unpacked boxes. So, we’re beginning 2014 by finishing up what’s left to do from 2013: We sold or donated much of our furniture and many or our belongings before leaving Bellingham. Now we will sell the rest of the furniture that we no longer have a place for in our home or in our lives. The remaining boxes will be unpacked to determining what will be kept and what we no longer need. I know that the process will not be as easy as it sounds. So many of our things have a history; a meaning apart from their intrinsic value. It can be so hard to let things go that are wrapped in memories, but our reality is that there is limited space available for things. The Bellingham area is absolutely beautiful, and we have fond memories of our lives in Medford, but I definitely won’t miss the Pacific Northwest winters. The weather in Santa Barbara has been amazingly warm and sunny for this time of year. What a lovely change and so surprising to see flowers blooming on New Year’s Day! Best of all, we are surrounded by family and friends. My husband grew up on the same block that we now live on. His father lives around the corner, and his sister’s house is just behind ours. My family is only about an hour and a half away, and we’re getting reacquainted with friends still living in the area. 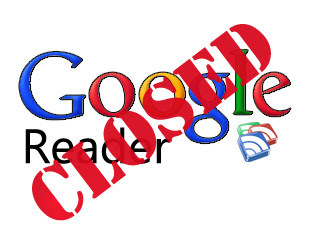 Google Reader will no longer be an option for blog reading in the near future. This also includes Google Friend Connect, which I’ve been using in the sidebar of my blogs as an easy way for readers to add my blogs to their Google Reader feeds. So, here are the options for anyone who wants to keep up with their favorite blogs. Bloglovin and Feedly are two alternatives for following blog feeds. I’m currently using Bloglovin because I liked their format, but both are supposed to be good for following blog feeds. Both allow you to move your existing subscription easily from Google as well. Another option is to subscribe via e-mail. Both of my blogs have a subscription option in the sidebar for anyone who would like to receive blog posts in their e-mail inbox. 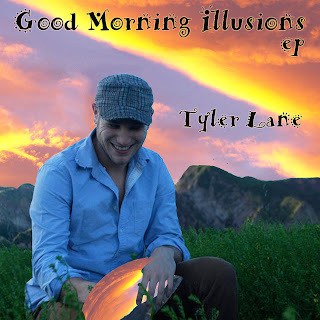 Tyler, my oldest nephew, has released his second album, Good Morning Illusions. Tyler's music is beautiful. It is both soft and spirited, his thought provoking lyrics skillfully woven with his original folk music. Downloads of the tunes from Good Morning Illusions are available here at cd baby. Oh, and it was my privilege to create the cover art for this album. 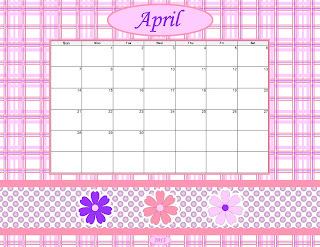 Click on image, then right click and "save image as" to save the calendar page to your computer for printing or to set as your desktop background. Please visit the Weekend Bloggy Reading at Serenity Now for more bloggy creativity. 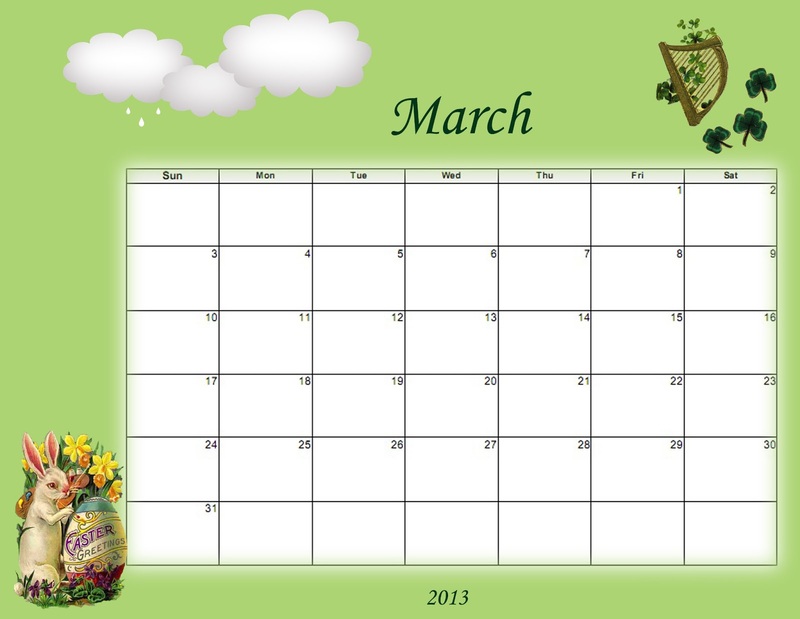 I just barely finished the free calendars for March in time. 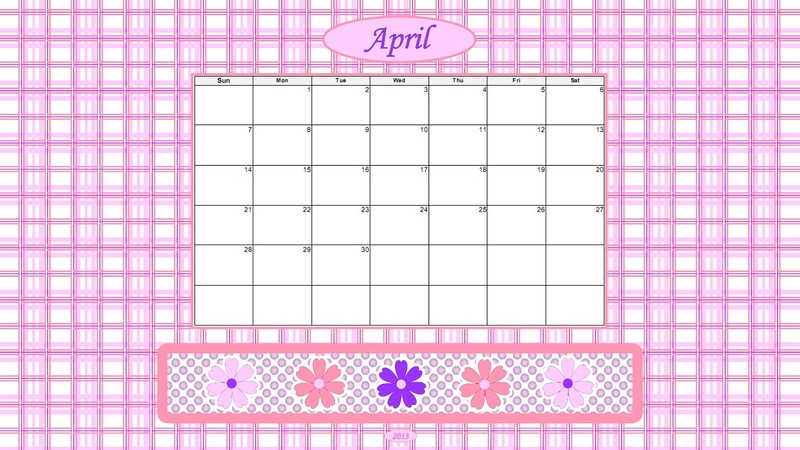 Somehow the end of this month crept up on me. February is like that. 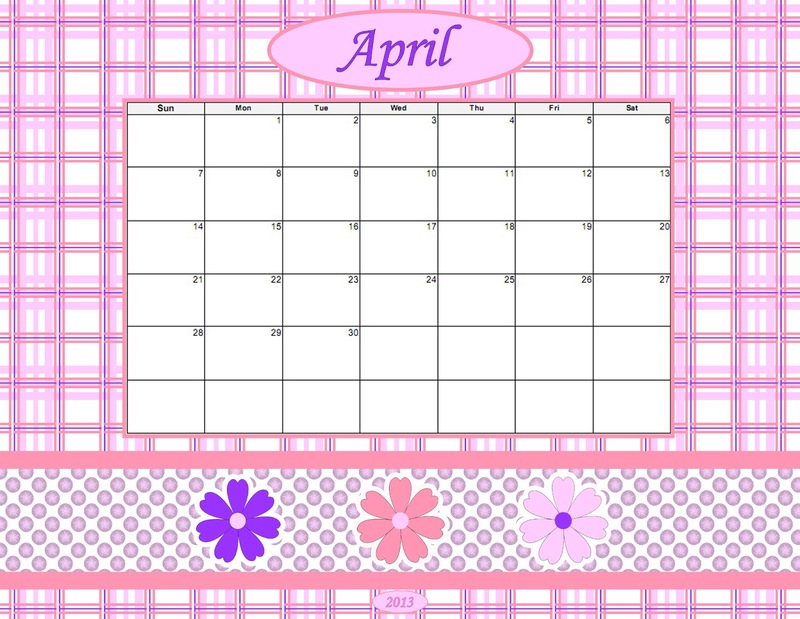 Any ideas as to theme for the April calendar? P.S. Please visit the Weekend Bloggy Reading Link-up at Serenity Now for fun and creative ideas. 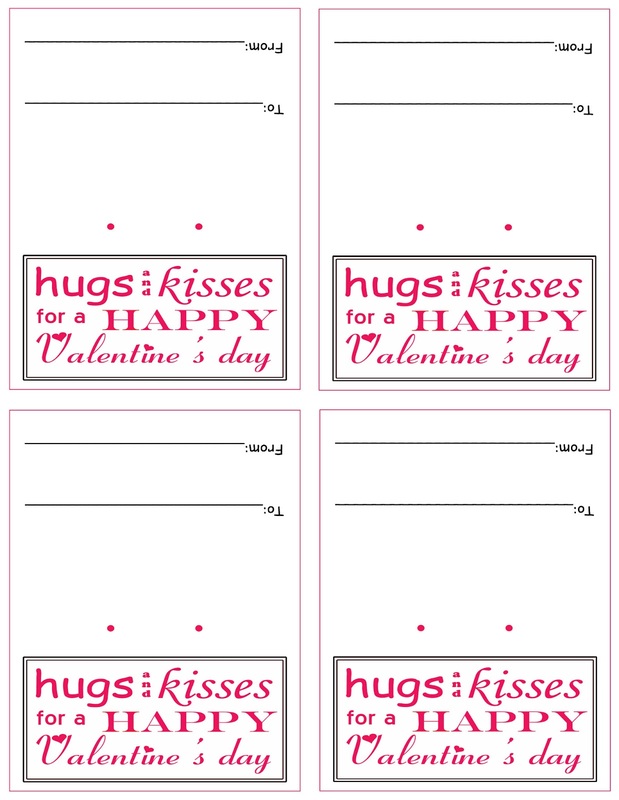 Here's a fun little printable for making Valentine treat bags. 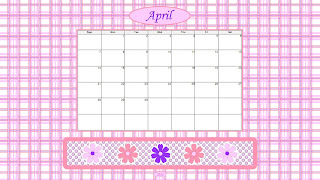 To print, click on the image below, right click and save to your computer. 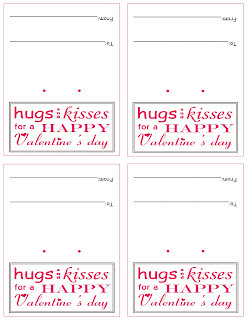 Print on cardstock, and cut into fourths. Fill in the "To" and "From" section. Fold each card in half over a bag of treats, then punch holes on the dots. 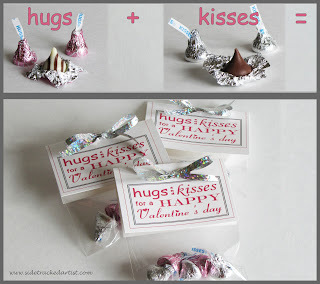 Tie your Valentine treat bags with ribbon, and they're ready to go. Please visit the Gallery of Favorites at Premeditated Leftovers, and Weekend Bloggy Reading at Serenity Now, and It's a Hodgepodge Friday at It's a Hodgepodge Life for more ideas. We’ve had cold, dark, cloudy, and frequently rainy days here for awhile now. It’s kind of dreary. Typically winter, but a time to enjoy some indoor comforts like homemade hot soup and knitting. Everything to its season. Legend has it that on February 2, if a groundhog comes out of its hole and sees its shadow there will be six more weeks of winter. 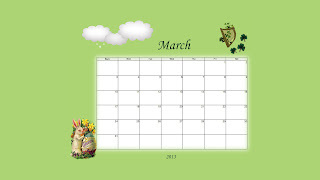 If the day is cloudy (no shadow), then spring is just around the corner. 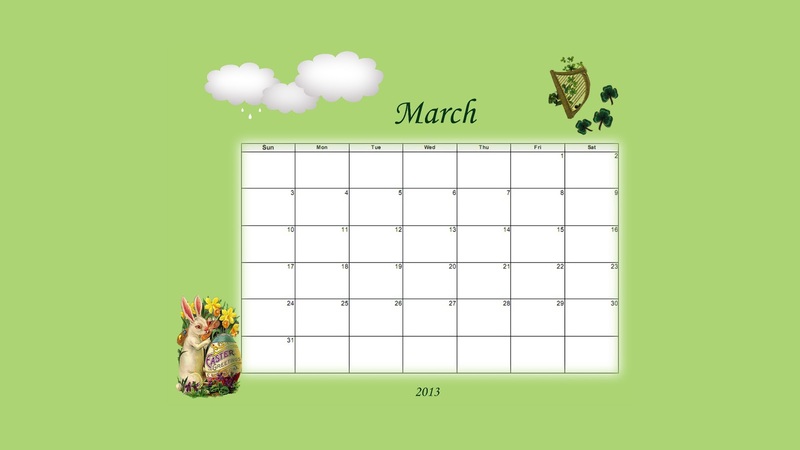 In fact, according to the calendar, February 2nd is the exact midpoint between the first day of winter and the first day of spring. Winter is officially half over! Today we’re enjoying a bright, beautiful sunny day here in Bellingham. So I guess it’s six more weeks of winter for us. I would expect at least six more weeks of winter-like weather for us regardless of whether or not a groundhog could see its shadow, because winters are long here, lasting well into spring. The trees are bare; not even close to budding out. Finding some parsley in last year’s vegetable garden was a surprise, but we’ve had a fairly mild winter so far. Today is lovely. Sunny with temps in the low 50s. The roses are fully dormant and ready to be pruned. Fred took care of the pruning, and they’re all ready for budding out in spring. Sophie - sniffing around the garden, probably searching for a piece of rawhide she buried there. She likes to let them cure in the damp soil until they’re floppy and gross, then she brings the dirty things into the house to chew on. She’s a weird dog. The sun is staying up noticeably longer now. It doesn’t set until after five, and darkness doesn’t set in until a half hour after that. It’s late afternoon now, and back into the 40s outside, the shadows lengthening. It is clearly still winter. So we’ll continue with our indoor activities a bit longer while we wait for warmer days.